These folks are great. Came when they said they would. They were completely equipped and prepared. I am 100% satisfied with their work and price. They will now be our go to guys for irrigation and landscape work. We had a major water drainage problem in our yard. Under ground springs had erupted and we were getting rain water from all the yards around us. Mr. Harris came immediately when we called for his help. He assessed the problems and made recommendations. He and his crew put in an underground french draining system that has worked so well. Our yard is now dry and the system continues to do the job. We also appreciated that he followed up and came several times to see how everything was working. I would highly recommend Harris and Company. They know what they are doing, are professional, and are hard workers. Harris and Company is great! When we wanted to cut pines close to house and put in different trees and bushes, Jack came to our help with great suggestions. Our yard looks great! Bryan helped to rebuild wall on our bottom drive. Drain and restructure it. Everyone of the people working at Harris and Company are friendly and professional! We have been customers for many years. Review By: Jimmy Eubanks, Baldwin co.
Great job every time !! Review By: Fred Jorgensen, Eatonton Ga.
Harris and Company installed a (6) zone irrigation system to our house lawn and it has operated flawlessly for the last (12) years. Harris and Company later installed another (3) zones when our property was cleared for more lawn space. Jack Harris has personally assisted me, via telephone, several times, on many questions regarding the functionality of our system and has been most gracious to help me out. 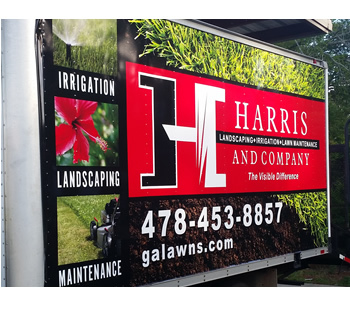 Harris and Company recently responded to our call immediately and corrected a concern we had with our of our irrigation zones. The concern was repaired by replacing the diaphragm in our zone #1 valve. Jack is most knowledgeable with irrigation systems and has also worked with my wife and the master gardeners of Ga. If you want it done right and have some fun talking to Jack, I would recommended you call Harris and Company. We have been using Harris & Company for three years. They installed a sprinkler system and the landscaping a few years ago. Since we’ve been using them our place looks better than it ever has. I am always proud of the way our home looks now. Their crew is always professional and treat the yard as they would their own. 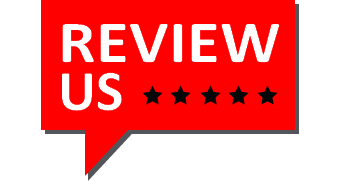 We are very happy with their service and would definitely recommend them. We first met Jack Harris in early 1997 at which time he installed an irrigation system for us at our Lake Sinclair home. The system that he installed is now over 18 years old and has performed exceptionally well with only minor routine maintenance. In 1999, we had Jack Harris install a 4-inch drain with a sock pipe to help us prevent water from flowing underneath our house during heavy rainstorms. A few years later, Jack installed a trench drain system to further help eradicate rainwater coming down a steep slope behind our house. The summer of 2015, we contracted with Jack and his son Bryan to level our yard after septic tank work had been done. They reseeded the disturbed dirt with grass seed and planted some shrubbery where we had removed some diseased red tips. Jack and Bryan are very professional and reliable. They are honest and perform their work schedule in a timely manner and the price of their work is reasonable. They have always been very responsive to any phone call or request that we have made. It has been a pleasure for us to know and engage their services to help us in our landscaping and irrigation needs. We would highly recommend their services to anyone who has a need.